Believing in God isn't easy. There are so few moments in my life when I have known beyond a shadow of a doubt that God is real and present in my life. There are many more times that I've wondered if God cares for me, sees me and loves me. Sometimes it seems like the mark of a Christian is finding it easy to believe in God, in his existence, in his love. I doubt God all the time. I question God a lot. But I don't think that makes me less of a follower of Jesus. When I read the bible I find many examples of people just like me, people who doubted, argued and questioned. People who sometimes said out loud, "I don't know who Jesus is!" Peter, a man who followed Jesus for three years, said the last three times after fleeing the scene of Jesus' arrest. Peter who had spent three years witnessing Jesus heal people still doubted. And Jesus still called him his own. I guess what Peter’s story teaches me is that doubt doesn’t mean my relationship with Jesus is over. 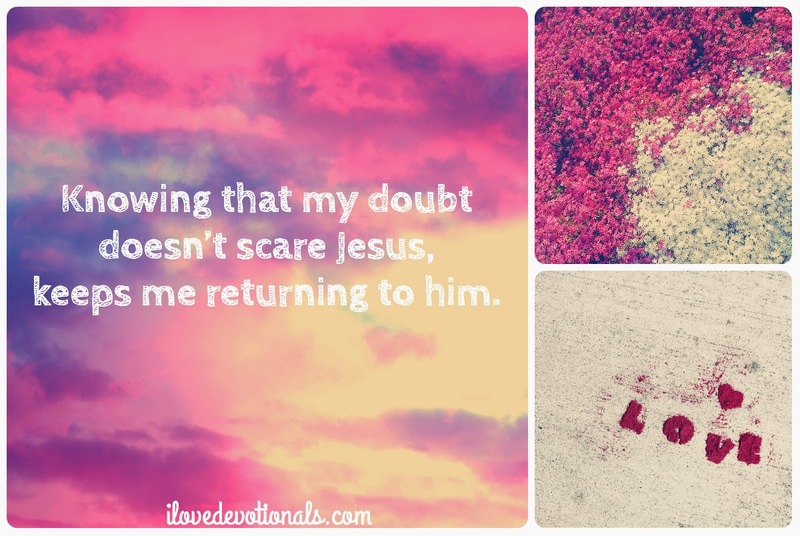 I don't think doubt scares Jesus. And I really like that about him. It takes a pretty secure God to love me even when I deny him, question him, yell at him, and doubt that he is always good. I think sometimes doubt causes me to underestimate love, to underestimate Jesus. Love is not afraid of doubt. Love is stronger than questions. 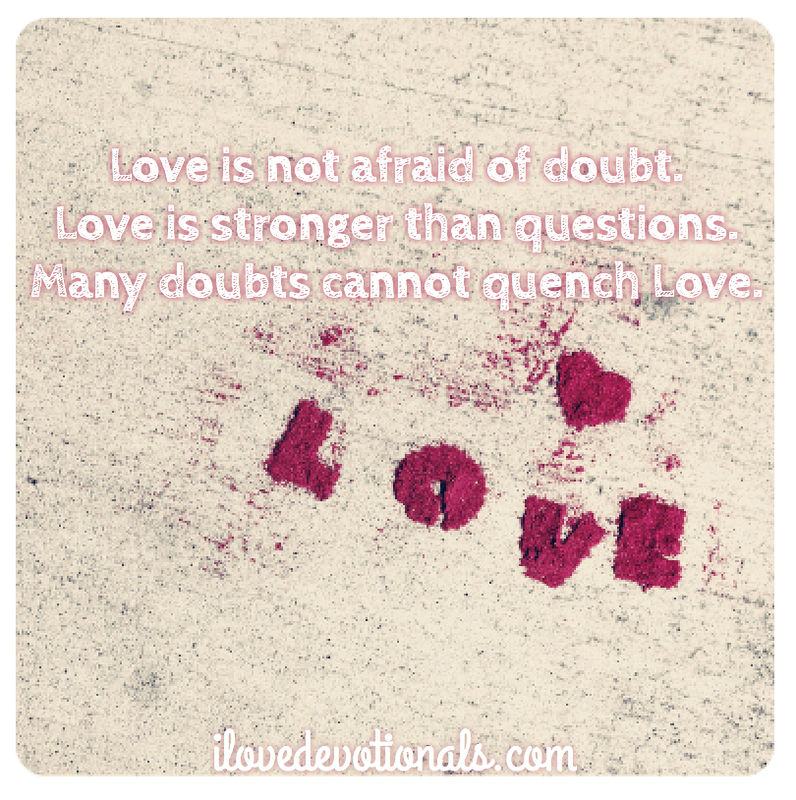 Many doubts cannot quench Love. Ponder: Does doubt make you feel like less of a Christian? Prayer: God, thank you that my doubt doesn’t scare you. Help me in my unbelief.